Ok all digging up a two year ol thread for fun.. We're you all successful in the swap. What was the cost. 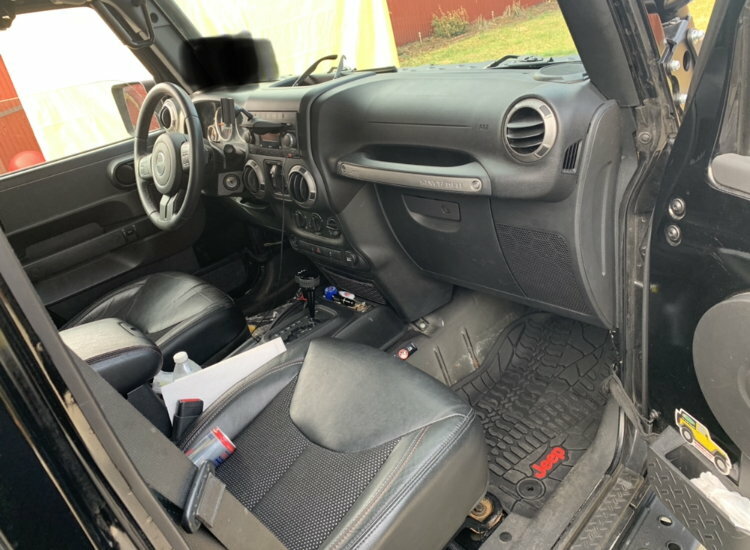 I have a 2010 jk and would love to do this interior swap to the 2011 or newer dash and console. Are there any major hurdles? Or if I can get all the interior is it just taken the time to swap it all out ? Thanks for any info!!!! Have Fun with the Swap ! thanks to tonyb... 98jeep.... and others. 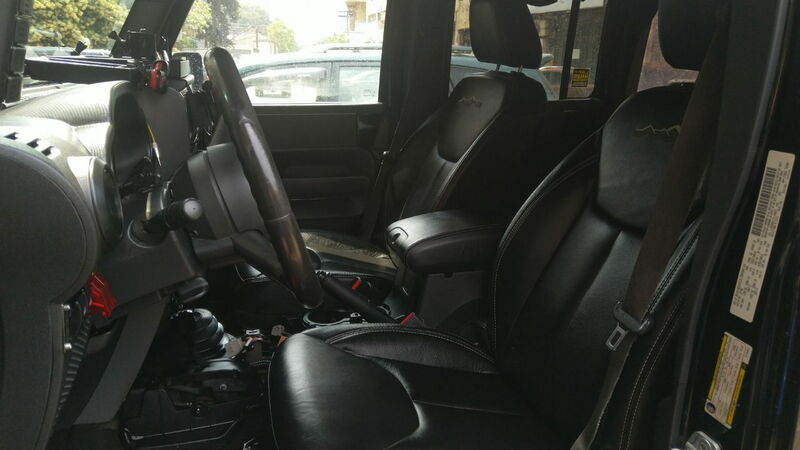 Ive fully converted my 07 jeep jk dash and console to 2017 wrangler interior. I will add a few tips to make it easier and less complicated. I am not good at explaining details via text. —You do not need the dashbord frame. 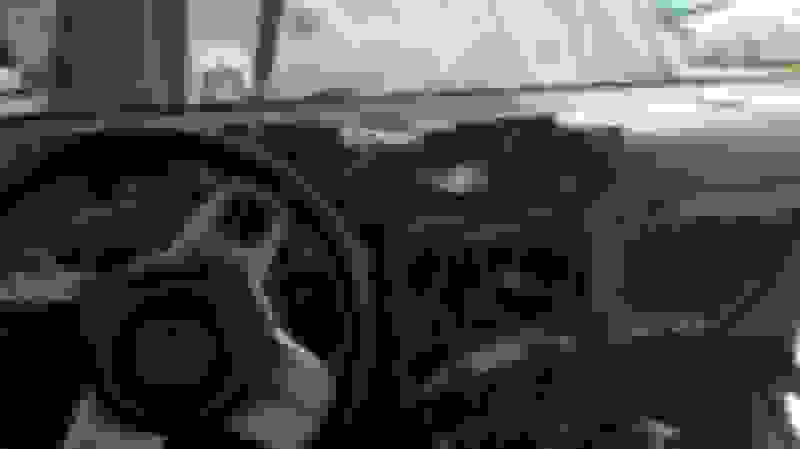 You will use your 07 dash frame. Over 10 bolt locations are exact and more then enough to hold the dash up. There are a few frame tabs that need to be cut. Also remove the metal radio bracket. Very easy to do. —You will use your factory vents ductwork. Side defrosters, one section needs to be eliminated and capped off with duct tape. Side vents line up perfectly after removal of the deforster vent piece. Upper center vent pushes against the dash so its fine. Just a bit of duct tape to prevent air going towards the radio. Lower center dash vents are no where close about a inch lower. I just left the vent open air still comes out fine. —- you will use your factory gauge cluster. 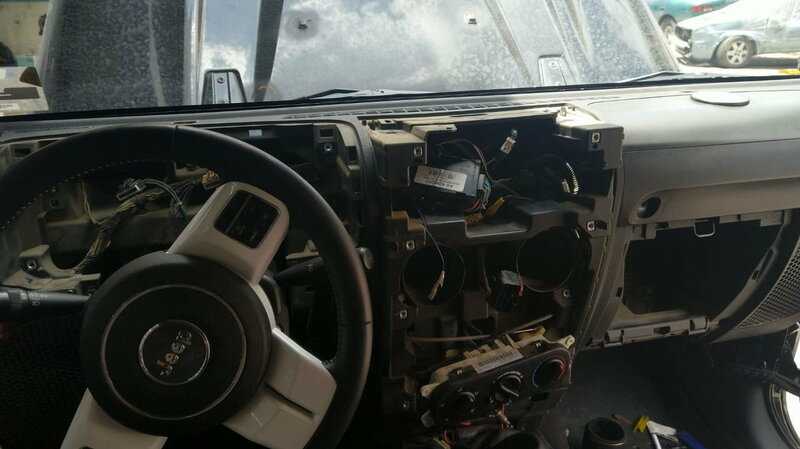 You will need the glass clear cover from a 2011+ gauge cluster. And to drill a hole on the left side for the cluster push button. Very easy to do. Just be patient so you wont crack the clear plastic. — you will use your climate control woth the older knobs. You will use the newer dash climate control bezel and cut out the section to fit your old climate control in. If fits fairly well. This was my first attempt so its not perfect by any means. 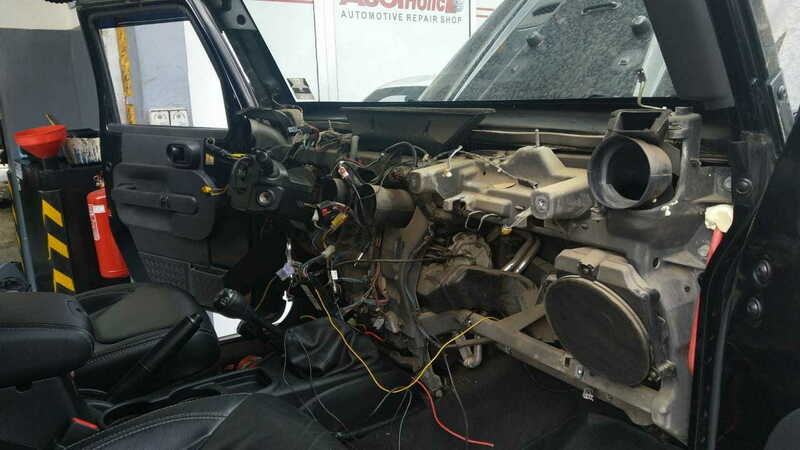 2011+ climate control is almost impossible to wire without hundreds of dollars in parts. —- you will have a cut a few very small plastic brackets on the rear of the dash. After test fit after test fit. You will see each time the area thats it hitting. 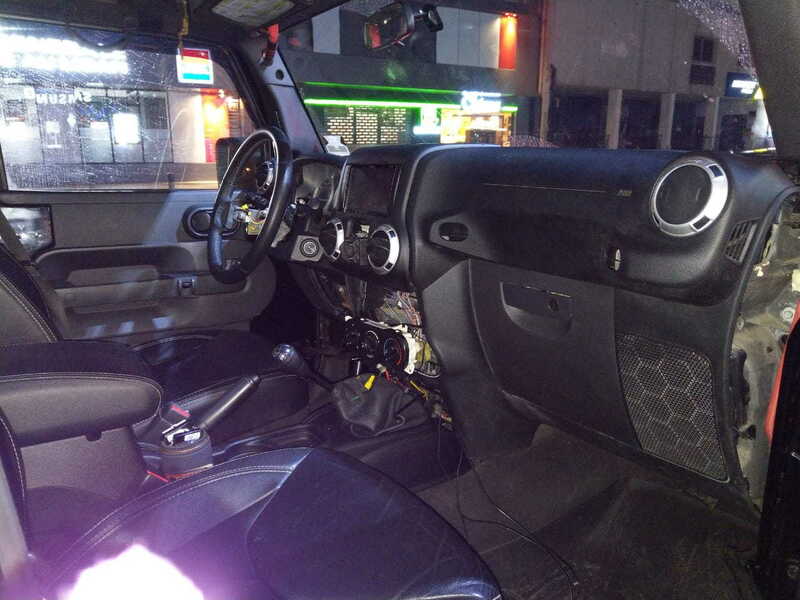 I removed the headlight switch, steering wheel, and center console to make it very easy to fit the dash over and over. —- lower hazard and esp switch was easy. I used the a new one that came with the climate control trim. Literally its the same switch. You open them up and install the buttons to correct spot and install your 07 harzard switch control chip from the inside. It falls directly into place. Use the newer switch housing with your older switch internals. then 2 extra side buttons will be blanks for you to do whatever with. —-lower net trim needs a small tab cut also. You will see when installing for first time. 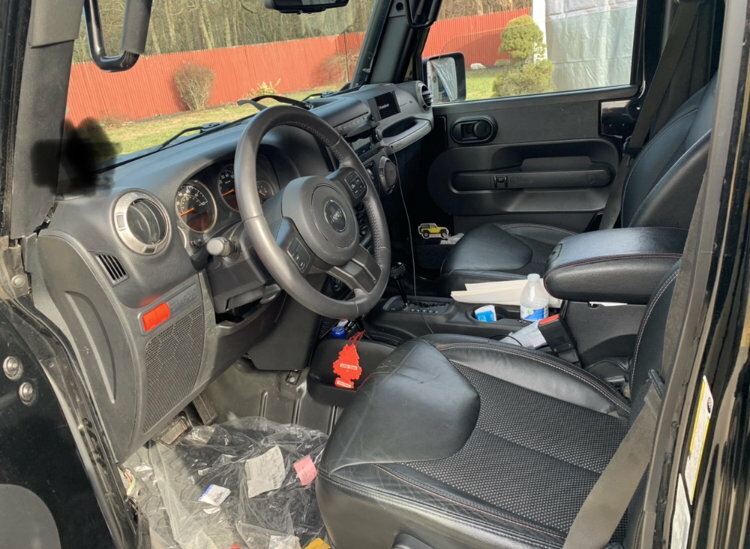 —-steering wheel and airbag come from and 2011-2015 compass, patriot, wrangler. Prices much cheaper for patriot and compass parts. Airbag fit and plugs right up. Needs plug from your old wheel for the horn. Wire them up to new horn on new airbag. Dont plug and wires from new wheel cause they will not work at all. 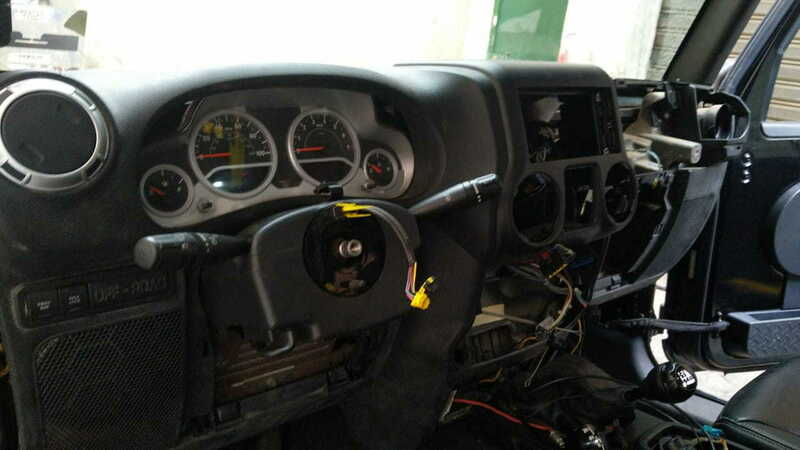 — passanger airbag you meat remove from your old panel and fit it jnto the newer dash panel. 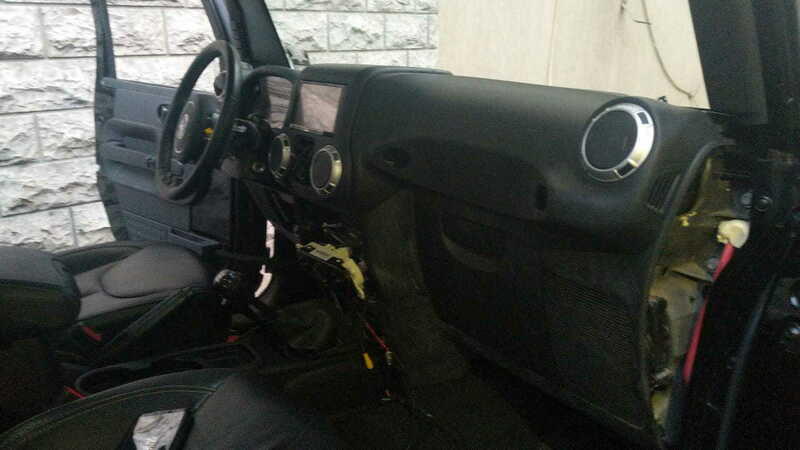 Its a bit hard to remove and install but it is the same airbag for both 07-16. — dash grab bar mounting holes need to be enlarged on a angle cause the holes dont quite line up. -drill with extension and 7mm for many many of the dash bolts. -cut off wheel / grinder. -flat head and phillps screwdrivers. End product i love it. Cost me around $1000 more or less. Its all secure and looks great. Took me over a month scavenging parts all over the north east most from junkyards and craigslist. thanks to this webiste i got it done. Sorry for typos or grammar. I took me about 25 mins writing this. Im not so high tech it takes me time writing on my phone. Thanks and good luck. 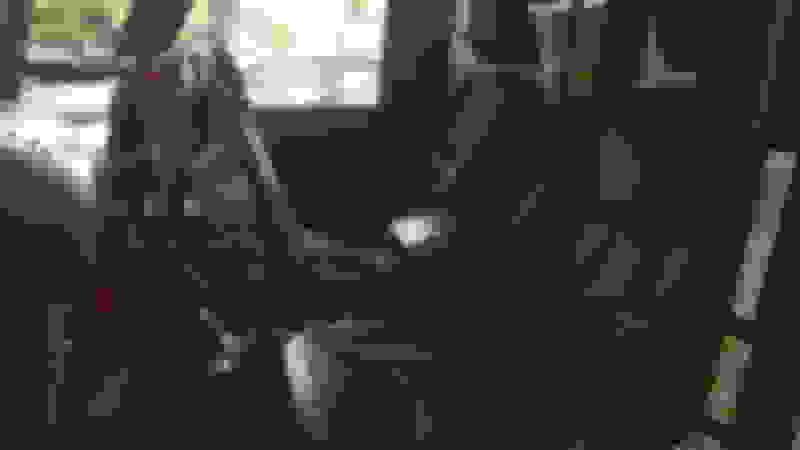 Last edited by Jdbwood; 01-30-2019 at 07:33 AM. Last edited by Jdbwood; 01-30-2019 at 04:09 PM. HUGE QUESTION! I have been looking all over the internet for someone who has done this and you are the only one haha. 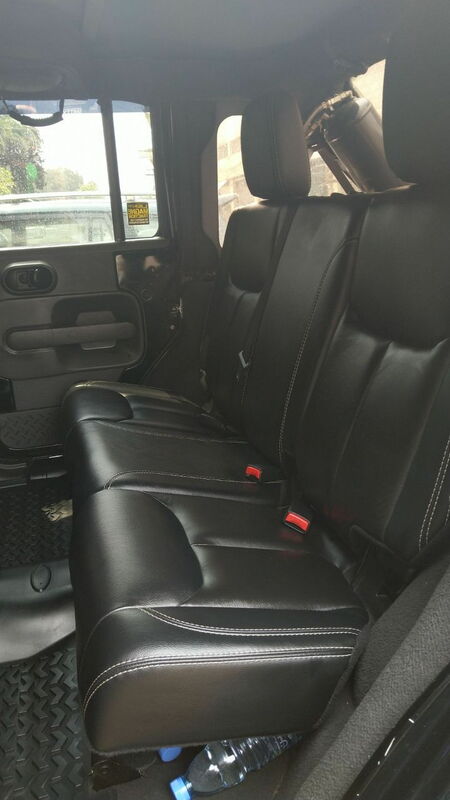 When converting your center console from the old jk style to the new jk style, we’re there any obstacles like cutting or anything of that sort? i have an 08 jk and really want to convert to the new console but i want to be sure before i buy one and then realize it doesn’t fit.